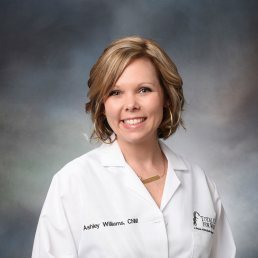 Ashley is a Registered Nurse and Certified Nurse Midwife. She obtained her Bachelors and Masters Degrees in Nursing from East Carolina University in Greenville, NC. She also spent time studying abroad in Oslo, Norway. Ashley is originally from Elizabeth City and has been practicing since 2005. Ashley is an active member of her church and has enjoyed mission work in the Dominican Republic, Ecuador and South Africa. She enjoys spending time and traveling with her husband and two children as well as using her creativity for photo shoots and weddings.